team of researchers from the Faculty of Science and the Water Company. 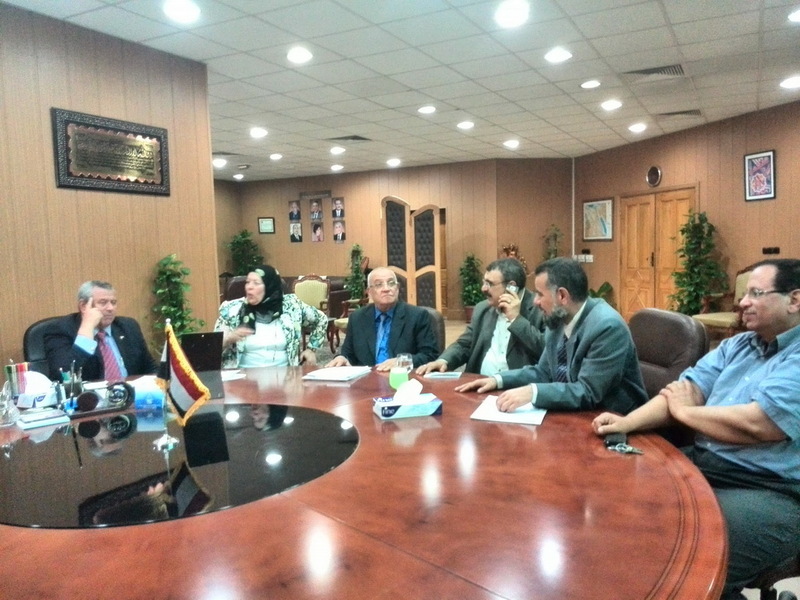 The meeting comes within the framework of mutual collaboration between Mansoura University and the surrounding community. It discussed the problem of water purification from aluminum and the best ways to benefit by sludge coming out of sedimentation tanks and the flushing water of filters. This is the problem of all water purification stations in Egypt. Millions of cubic meters of waste water in the canals can treated and reused in irrigation and agriculture. 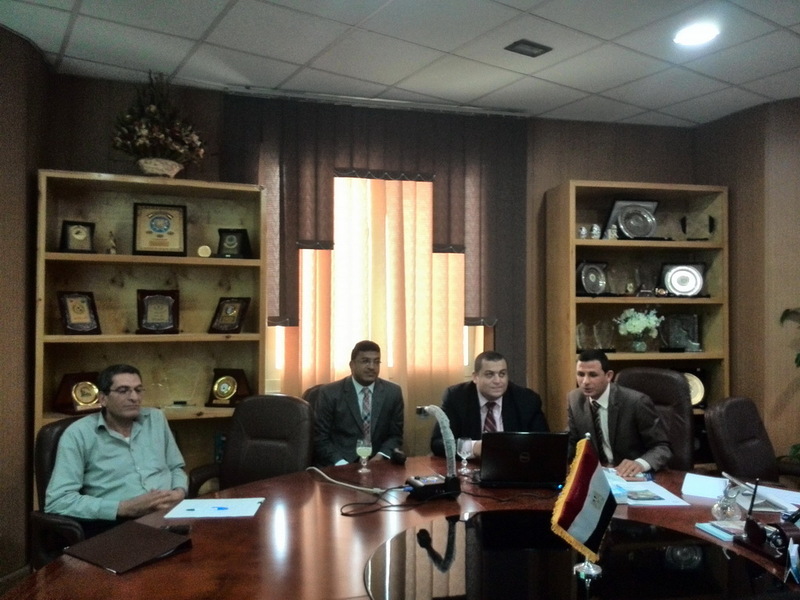 During the course of the meeting, the research team explained in detail the applied research on the purification of water from aluminum and its effect on the health of man and animal.